Last week in Poland, the Senate passed a bill making false accusations of Polish atrocities during the Holocaust, as well as the term ‘Polish Death camp,’ punishable by a fine or up to three years imprisonment. This bill is already an ethical, political and diplomatic train-wreck, for reasons every major newspaper and many nations have already made clear. 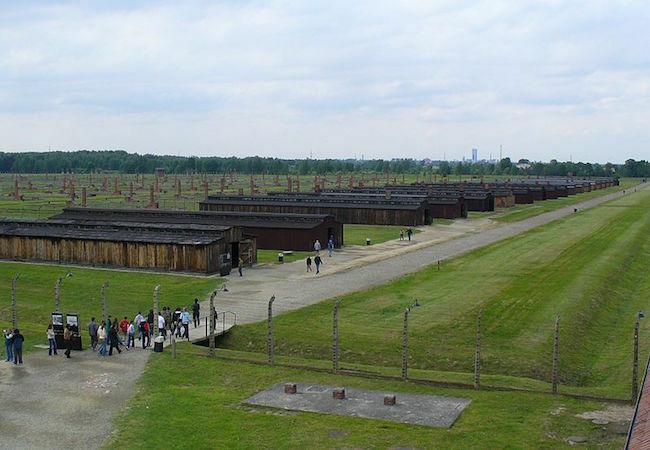 Israeli ministers have labeled the law “de facto Holocaust denial.” However, this new law does shed light on a common and egregious misconception: that Poland is responsible for Nazi concentration camps. This misunderstanding must be amended, granted not through punitive law. There’s a saying in Poland that sums up its history perfectly: “Kiedy Niemcy i Rosja piją, Polska ma kaca.” When Germany and Russia drink, Poland gets the hangover. This idiom proves especially true during WWII, when Poland got pummeled by invading armies on both sides, leading to a brutal occupation. Before 1945, pictures of Warsaw display a magnificent European city, with stunning palaces, sleek trams, a nineteenth-century opera house and wide, elegant promenades. Strolling along the Vistula river through the city, one might have easily mistaken it for the banks of Paris’ river Seine. What happened? Why does Paris still look like Paris, and Warsaw a schizophrenic collage of Soviet blocs, empty lots, old ruins and skyscrapers? Because, when the Germans entered Paris, the French had already accepted defeat. Small yet instrumental groups of armed men and women still refused to collaborate – a major point of pride for France – but the Vichy puppet government ruled.When the Germans invaded Poland, however, the Polish army fought to the bitter end, even though their outdated armies didn’t stand a chance. They even tried to take on a German infantry battalion on horseback. By 1944, after the Warsaw Uprising, Germany decided to make an example of Poland’s resistance by systematically destroying it. They succeeded. They wiped out every single roadway, railway and bridge; ninety percent of historical buildings and monuments; and ninety-five percent of theaters and cinemas in Warsaw alone. Cities were razed to the ground. To this day, more than half of the stolen art and antiques from WWII have never been returned to Poland. While other nations rolled over, Poland stayed strong, and paid a heavy price. One of the first answers, if not the only one, will be “concentration camp.” Pierogi or vodka might be in the running, but usually Auschwitz is quick to follow. Now ask those same people to do the same exercise with the word “Germany”: Oktoberfest, Volkswagen, BMW, lederhosen, Beethoven, Heidi Klum and, eventually, Nazis. This is partly because most Westerners know less about Poland than they do Germany (or else maybe Chopin and Marie Curie would make the list more often). It’s also because Germans are excellent at marketing, including their own national identity. After the war, as Germans had to find a way to move past their dark history, they hinged on the magical word “Nazi.” The word “Nazi” allows Germans to separate themselves from that time, and for the rest of the world to do the same. History textbooks describe Nazi atrocities and monuments condemn Nazi laws. Obviously, we all know that the Nazis were German. Psychologically, however, giving them another name allows us to categorically separate the two. Poland has no such luxury.All these circumstances explain why the government aspires to rectify its nation’s history. The danger lies in when rectifying morphs into whitewashing. History is complicated. Like every nation during WWII, some Poles resisted the Nazis, some complied and the vast majority did nothing. Some even committed atrocities of their own. This new law could suppress this complex reality into a false narrative of martyrdom. Furthermore, the irony of a censorship law about the Nazi regime cannot be overstated. Suppressing free speech – with inordinately severe punishments for those who refuse to obey – is a move right out of the fascist playbook. That was Joseph Goebbels’ job, after all: to determine what people could say and not say, and punish those who didn’t comply. For many Poles, this law might seem even more reminiscent of their days in the Soviet Union, when publications were routinely blacklisted and libraries cleansed. While this current law has a limited scope, any time the government determines what people can write, it’s one step closer to the edge of the slippery slope. One law can lead to another law, and that’s where the real fear lies. However, at this time, the current law is not the human rights catastrophe the international community is determined to portray it as. The law only applies to claims made “contrary to the facts” (granted, it should never be the government’s authority to determine what is factual, another slippery slope). Furthermore, anyone engaging in “artistic or academic activity” is not subject to this law, which will make it almost impossible to enforce. It would be difficult to imagine anyone will ever serve jail time for this law. Poland most likely passed this law to make a statement. They’ve wanted the international community to pay attention to this issue for decades, and this law finally got us listening. That might be the entire goal. One can hope. Elise Wanger Zell studied Holocaust historical narratives in Lower Silesia as a Fulbright fellow. Upon returning to the US, she worked as an outreach consultant for Human Rights Watch, where she focused on banning sentences of life-without-parole for juveniles in Illinois. Currently, she works as a freelance copyeditor and writer in Los Angeles, including for several screenplays. Begining this fall, she’ll also be pursuing her Masters’ in comparative literature.